Q- Who is the present Chief Election Commissioner of India ? Q- Which of the following is not the Current Election Commission of India? Q- The provision of Election Commission of India is mentioned in which article? A chief election commissioner and not more than four Election Commissioner. The president decides the Strength of the commission time to time. The Qualifications of the members of the Election commission is not mentioned in the Constitution. The ECI is appointed by the president and may resign to president. The person who have wide experience in public affairs like IAS officers are chosen for this post. There is as such no qualification defined for the ECI in the Constitution of India. The tenure of ECI is 6 years or upto 65 years of age. The Chief Election Commissioner is removed by the process of Impeachment. The election Commissioner are removed by the president on the recommendation of Chief Election Commissioner. The ECI supervises Delimitation Commissions. 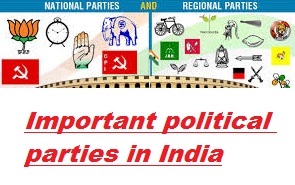 It gives the recognition to political parties as National Party and State Party. The ECI allotes symbols to parties/ candidates. Also the ECI Monitors the Elections Expenditure. For eg. The Fund for Member of Parliament ( MP ) is 40 lakh with certified account. The ECI Imposes and Monitors the “Model Code of Conduct” ( An ethical code applicable on all parties and Candidates). The ECI directly indulges and solves Election Disputes. Note: i) If Disputes are related to President and Vice President, the Disputes are heard in Supreme Court. ii) If Disputes are related to MP and MLA, then they are heard in High Court. The Current Chief Election commissioner of India is Nasim Zaidi. Q- Who acts as the Guardian of the Public Purse? Q- Who is the Present Comptroller and Auditor General of India? Q- The Provision of functions of CAG is given in which article? a) According to this Article-There shall be a Comptroller and Auditor General of India (CAGI) appointed by the President and may be removed on Like Grounds and in the Like manner as a Judge of Supreme Court is removed. b) The Comptroller and Auditor General of India removal is difficult and is removed by the method of Impeachment. c) The Tenure is 6 years or till 65 years. d) He or She may resign to the President. e) After retirement of CAG , he shall not hold any post under the Govt. (s) ( Both the Government). f) The Functions are : To Audit all accounts of the Governments ( State and Union Government) and their agencies and make reports . g) The reports made by the CAG are submitted to Governor or The President. h) Furthermore, the reports are put forward of legislatures for discuss and review purposes. Reports given by the CAG are examined by the Oldest committee called Public account Committee (PAC) and the committee can act accordingly. The CAG acts as the Watchdog of the Indian Public Finances. The CAG also acts as the Agent of the Parliament. The CAG is known as the Guardian of Government Money or Public Purse ( Public Money). 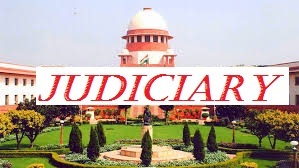 There are four bodies who are considered as the Defensive wall of the Indian Democratic System – Supreme Court, Election Commission of India, Union Public Service Commision and Comptroller and Auditor General of India. He can check feasibilty of Financial Transactions. He acts as a Friend, Philosopher and Guide of PAC. The Present CAG is Shashikant Sharma who was appointed on 23rd May 2013. The CAG Audits accounts only when Requested by the President or Governor. If the president is Satisfied that there exists threat to security of India due to war, external aggression or armed rebellion, He Shall impose emergency on the whole or any part of India by issuing a proclaimation. Such a proclamation should be passed by both the Houses by Special majority within 1 month of its Issue. The period of Emergency is Six months. The Period can be Extended for any no. of times but always in the units of Six Months until revoked by the president. The State Governments become bound to follow executive direction of Union Government : Unitary System. State legislation comes under legislation of parliament . In the time of Emergency, the State list becomes the concurrent list. Article 19 (Fundamental Rights) are automatically suspended at the time of Emergencies. (But not in case of Armed Rebellion). Article 20 and Article 21 are never suspended , not even in Emergencies. Other Articles may be suspended by the Order of President. The first Emergency was Declared on 20th oct, 1962 during Indo-China War. Second Emergency was Declared on 3rd December, 1971 during Indo-pak war. 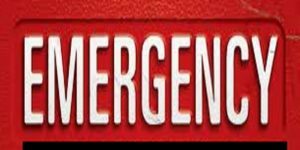 Third Emergency was Declared in June, 1975 ( It was Internal Emergency). The Emergency is declared by the president on the advice given by Prime minister in Written Form and Signed by the cabinet. It is declared when there is Failure of Constitutional machinery in a State. If the president is satisfied on the report of governor or otherwise that a State cannot be run as per the provisions of the Constitution, he shall assume the powers of the State by issuing a proclamation. Such a proclamation should be passed by both the houses by simple majority within two months of its issue. The period of emergency is of 6 months, it can be extended for next six months and the next extension will be for two years (4*6 =24 months). In this, the Election commission certifies that elections cannot be held in the State Assembly. State Govt. is dismissed and Rajya (State) is run in the name of president, Union Govt and Governor. State law is made by the Parliament. The State list becomes the Union list. There are no effects on Fundamental rights. 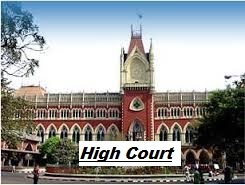 There Shall be a High Court for each state , Though every state of India does not comprise of High Court. Every High Court Shall comprise a Chief Justice and Such number of judges as the president may decide from time to time. Every Judge of High Court shall be appointed by the president on the recommendation of Chief justice of high Court, Governor, Chief Justice of India and two members from Collegium. The Retirement is at the Age of 62 years. At least 10 years of Experience in any Judicial Office. At least 10 years of Experience as Advocate in High Court. He or She may be removed on the like Grounds and Like manners as a Judge of Supreme court is removed. High court also possess Original and Appellate Jurisdiction. The provision of Writ Jurisdiction is also there. The high Court can issue Writs in the cases of Violations of Fundamental Rights as well as legal rights. Hence, the writ jurisdiction of High Court is Wider than that of Supreme Court. Parliament can alter /extend/exclude the jurisdiction of High Court to and from a union territory. Parliament can establish common High Court for two or more states and Union Territories (UT). Parliament can establish separate High Court for a Union Territories (UT). There are 24 high courts in the country and 3 of them have Jurisdiction over two or more states. A Judge of high court may resign to the president. The oath of the office shall be administered by the Governor. Salary and other incentives are decided by the parliament and charged upon consolidated fund of State, but pension shall be charged upon consolidated fund of India. A high court Judge can be transferred from 1 high court to another. A retired High court judge shall not act as advocate in any court except supreme court and other high court. It was started in the year 1985 when the chief Justice of India is Justice Bhagwati. The PIL can be filed in High Court as well as Supreme Court. The PIL can not be filed for personal matters. One of the unique features of the Indian constitution is that, notwithstanding the adoption of a federal system and existence of central acts and State Acts in their respective spheres. It has generally provided for a single integrated system of Courts to administer both union and state laws. At the apex of the entire Judicial System, exists the supreme court of India below which are the High courts in each state. The Supreme court is the Highest Court and is “ Guardian of the Constitution”. Also it is the Interpreter of the Constitution. The constitution of India provides for a unified Judiciary System and there is no division of powers in Judiciary between Centre and State. On the other Hand Constitution of other countries like USA provides Double System of Courts. On 28th January, 1950 The Supreme Court Came into Existence and also the parliament is authorised to regulate courts. Currently there are 23 Sitting Judges with maximum strength of 31 Judges in the Supreme court including 1 chief justice of India. Initially there was a Chief Justice of India followed by 7 other judges. He should be citizen of India. He Should have at least 5 years of experience as a judge of High Court. Otherwise he should have 10 years of Experience as an Advocate in High Court. Except all these cases if a person is a distinguished Jurist i.e if he has exceptional law knowledge. If the person is proved with any kind of Misbehavior. If the person is having incapacity to act as a judge. The resolution of removal can be moved in either house and requires special majority for its passage. The final order is given by the president. Writ Jurisdiction ( article 32)- The provision of this jurisdiction is given in Fundamental rights ( Soul of Constitution). Appellate Jurisdiction- This is the appeal given by Supreme Court on the Judgement of High Court. Advisory Jurisdiction- In this Supreme Court may give advice to Government on the Matters referred to it on a presidential reference. The Senior most Judge of Supreme court is Appointed as the Chief Justice Of India (CJI). The Supreme Court Judge may resign to president. The Oath of the Office is administered by the President. Salary and other incentives are charged on Consolidated Fund of India (CFI) which is decided by the Parliament. A retired Judge of Supreme court shall not act as advocate in any court. As discussed earlier there are Four types of bills – Ordinary Bill, Money Bill, Constitutional Amendment Bill and financial Bill. A Bill which is not Money or constitutional Amendment Bill. It can be introduced in Either House. This bill requires simple majority for its passage. Rajya Sabha has all the powers on an ordinary bill. It can pass, amend or reject the bill. As according to article 108 the Joint Sitting is applied. After passing this bill is sent to President. Note– The President gives his assent and then bill becomes law or Act. President may return the bill also but this can be done once only. This process is known as Pocketing Veto. The provision is given in the article 368. This bill can be passed by special Majority only. Rajya Sabha has all the Powers. President is bound to give his assent. There are some bills which requires the ratification by at least the half of the states. This includes- Some provision of SC/HC, representation of states in parliament, Distribution of Powers In Schedule VII ( Three Lists). i) By Special majority of Lok Sabha and Rajya Sabha. ii) By Special majority of Lok Sabha and Rajya Sabha and majority of States. A bill which contains at least 1 matter of article 110, and at least 1 matter outside art 110 is called a financial bill. Regulation of borrowing by the government. Custody of the Consolidated Fund of India. Imposition, abolition, remission, alteration or regulation of any tax. Appropriation of moneys out of the Consolidated Fund of India (CFI). Declaring of any expenditure to be expenditure charged on the Consolidated Fund of India or the increasing of the amount of any such expenditure. receipt of money on account of the Consolidated Fund of India or the public account of India or the custody or issue of such money or the audit of the accounts of the Union or of a State. Any matter incidental to any of the matters specified in (1) to (7). So, concluding, any Bill that relates to revenue or expenditure is a Financial Bill. A Money Bill is a special kind of Financial Bill. It is defined very precisely and deals only with matters mentioned Above. A money bill is assented by the Speaker of Lok Sabha. The MP has freedom of Speech and Expression in Parliament. MP is granted freedom from Arrest under civil Cases. This freedom is granted 40 days before the session, during the session and 40 days after the session. There will be no arrest under criminal cases. The MP has right to regulate Proceedings of the house . He also has right to allow Publication and Broadcasting of the Proceedings of the house. He has Right to Allow Publication and Broadcasting of the proceedings of the house. The MP has Right exclude Strangers from the House. He has Right to Punish Members and Strangers for violation of Privileges and Contemporary of House. It is called when there arises a deadlock over a bill between the houses. The joint sitting is always presided by the Speaker of Lok Sabha or Deputy Speaker or Deputy Chairman. There are Four types of bills – Ordinary Bill, Money Bill, Constitutional Amendment Bill and financial Bill. i) The provision of Money bill is given in article 110.
ii) This includes the six matters of money including the taxes and finance matters. iii) Any bill related to this six matters is known as a money bill. iv)Also a bill which contains 1 or more matters mentioned in article 110 is called a money bill. v) it is certified so by speaker of lok sabha that whether it is a money bill or not. vi) The Money bill can only be introduced in Lok Sabha and on recommendation of President of India. vii) The Money bills requires Simple Majority for its passage. viii) On a Money bill Rajya Sabha has no real powers . That means-Rajya Sabha cannot pass, amend or Reject a money bill. ix) Atmost, Rajya Sabha can Suggest some changes in the bill to the Lok Sabha Separately. Such Suggestions are not binding on lok Sabha. x) If the lok Sabha accepts the suggestions the Bill is not required to be sent to Rajya Sabha Again. xi) If the Rajya Sabha does not gives any response to bill after its receiving up to 14 days, then it is automatically deemed ( Assumed) that it has been passed in Rajya Sabha. xii) After that the money bill is passed to the president for his consent. The president may give his assent to the bill or shall not return ( Pocketing Veto) or may withhold it ( Not possible). The “ No Confidence motion” can be introduced and passed only in Lok Sabha. This power of Lok Sabha is as per article 75 (clause 3). In the case of Emergency, it can be revoked by the president on the recommendation of Lok Sabha Alone. According to article 85 the president shall summon the houses in such a way that the gap between the last sitting of first session and first sitting of the next session shall not be more than 6 months. He shall prorogue the houses. He may dissolve the Lok sabha. It is the longest Session ( From February to May). This session includes the address of the president to the cabinet. The Railway Budget is presented by Ministry of Railways which was separated by acworth committee in 1921. Now it has been merged with General Budget from financial year 2017-18. The Indian Railways is the largest employer of the World. The Economic Survey of India is presented before producing the General Budget. The General Budget is presented by the Finance Minister which is written by Ministry of Finance and Ministry of Economic Affairs. It occurs in the month of July- September. This session takes place in the month of November- December. Sometimes on special occasion , special sessions also takes place. In the year 1997 50 years of Independence was celebrated so a special session took place. First Hour – It takes place from 11AM – 12PM and is known as Question Hour as it is Notice Based. Zero Hour – The Zero hour starts from 12 noon. In this session the members of session raises the Questions of Importance. This session cannot be delayed. The Lok Sabha is conducted daily. The Rajya Sabha is run Alternatively and it is proposed Daily. A member is disqualified if He or She is Non-Citizen. One should not have any non registered office of Profit otherwise the member is disqualified. If a person has or developed Unsound Mind. If the person is charged under any other Law.